At Studio City Dental, we’re proud to hear that so many of our patients are committed to fulfilling their new year resolutions in 2019. Now that the new year is fully underway, we can’t wait to hear about your progress. With that said, those who either haven’t set a resolution yet should know that it’s not too late to do so. Setting goals that work to protect your oral health are always recommended by our office. But those who’ve already set their resolution (particularly those focused on overall or financial health) will also have a lot to gain as they begin their new routine. With these simple changes, you can make significant improvements in your oral health while staying committed to your original new year resolution. It’s become common knowledge that water makes up a majority of the human body. As a result, drinking water consistently throughout the day is not just important for cooling off at the beach, but keeping the body’s fluids in balance. Furthermore, it gives us the energy to exercise and control calories, which is especially important if better overall health is a focus for your resolution. However, the importance of staying hydrated is largely understated when it comes to oral health. The dryer your mouth is, the easier plaque can develop on your teeth and gums. By keeping the mouth moist, you help wash away loose plaque, activate saliva production and prevent food particles from festering inside the deep pockets of your mouth. Saliva is essential for transferring fluoride ions to teeth, which are directly responsible for remineralizing enamel and preventing erosion. If there’s one simple way to maintain positive systemic and oral health, it’s by drinking more plain water throughout the day and cutting out beverages that contribute to dry mouth. For some, quitting tobacco products may be their only resolution because of how difficult it can truly be. Discontinuing the use of tobacco products has several clear benefits for systemic health, including a lower risk for heart and lung disease. But quitting for your oral health is just as much a reason to do so as quitting for your overall health. Tobacco has been proven to increase your risk for gum disease, the number-one cause of tooth loss in adults. Smoking also causes chronic dry mouth, which puts you at higher risk of tooth decay development. 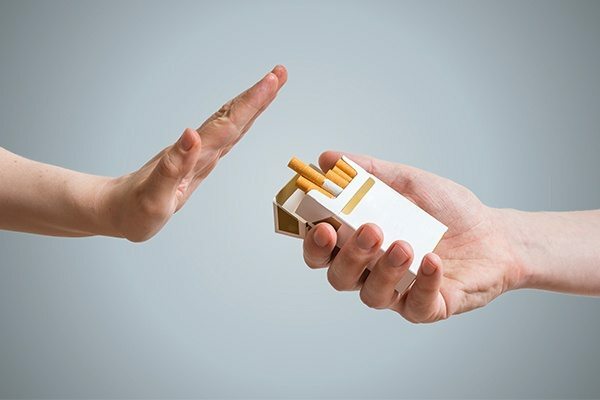 If you intend on maintaining your smile’s appearance or making your breath smell better, quitting tobacco should be a high priority in 2019. If you struggle to quit tobacco products, it may be worth it to speak with your general doctor. They can help you build the best strategy that works for you as well as recommend products to curb nicotine cravings. On top of your at-home flossing and brushing, checkups and cleanings once every six months is all you need to commit to for your oral health. By visiting just once every six months, you’re not just confirming that your at-home care is sufficient and that no dental disease is present. You’re also doing your part to catch early signs of systemic disease. 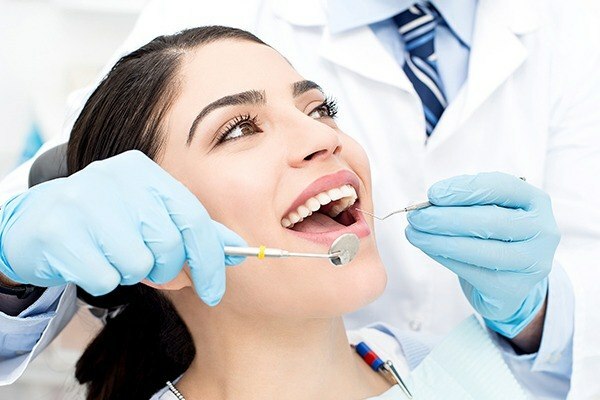 Dr. Shahrestany is trained and equipped to catch the markers for many types of systemic disease, proving routine dental visits to be beneficial to your overall health as well as your oral health. Furthermore, those who may have begun a treatment plan recently but have not fulfilled their follow-up appointment should do so. If an issue is left unfinished, the problems associated with it can worsen. This is especially common for those in need of a dental crown or filling, which can easily turn into a far more expensive and complex treatment in the long-term. The beauty of improving your oral health in 2019 is that the steps to making it happen are relatively simple and straightforward. You can stay committed to meeting your main resolutions and work closer towards a healthier mouth at the same time. 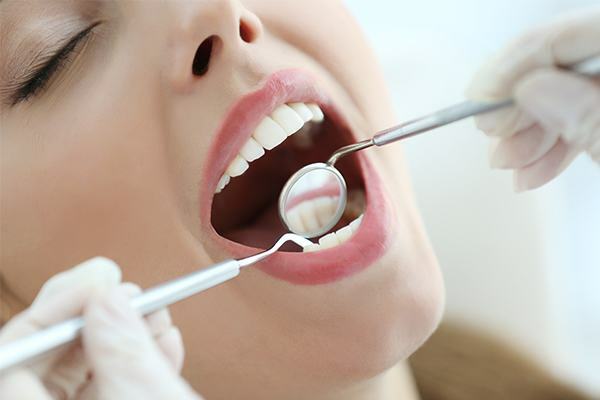 If you haven’t visited Studio City Dental Arts in a while, there’s no better time than now to confirm your routine checkups or finish off that treatment you already started. We hope to see you again soon and wish you luck on your new year’s resolutions!